Crossing Germany, Czech Republic and Austria on my way to Greece, I had a three week stay in Croatia – from island hopping to sightseeing in cities such as Zagreb and Dubrovnik. 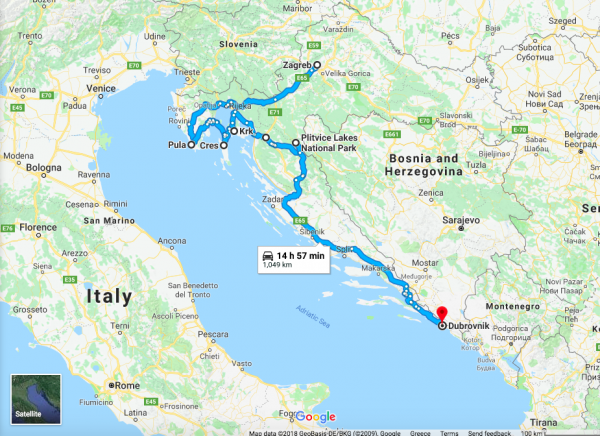 Of course, I did not miss out on a short detour to the inlands on my way from Krk to Zadar to explore the famous Plitvice Lakes National Park. 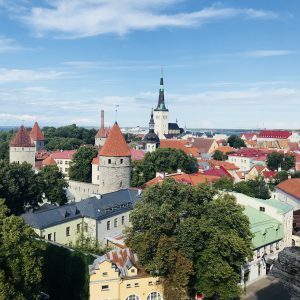 Oh wow – what a beauty and a totally different world right in the middle of Europe. But let me tell you all about this very special place. 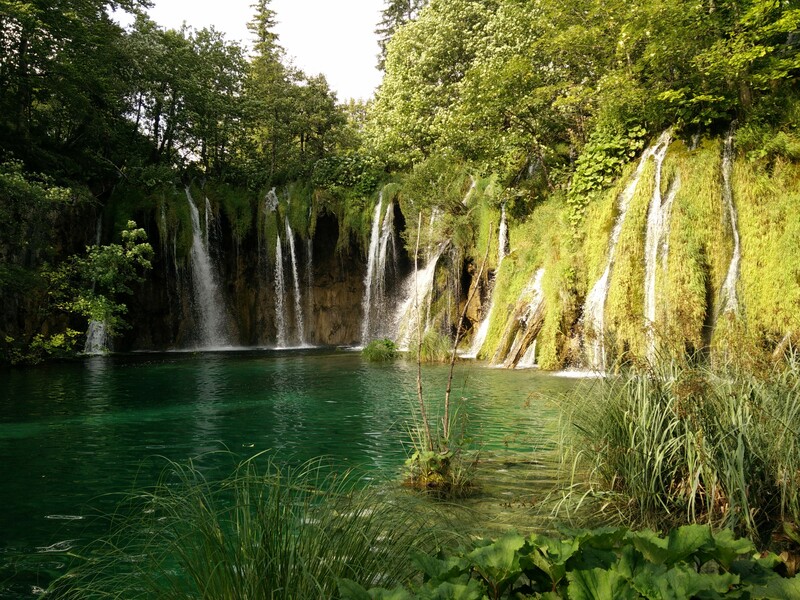 Plitvice Lakes are the oldest and largest National Park in Croatia. 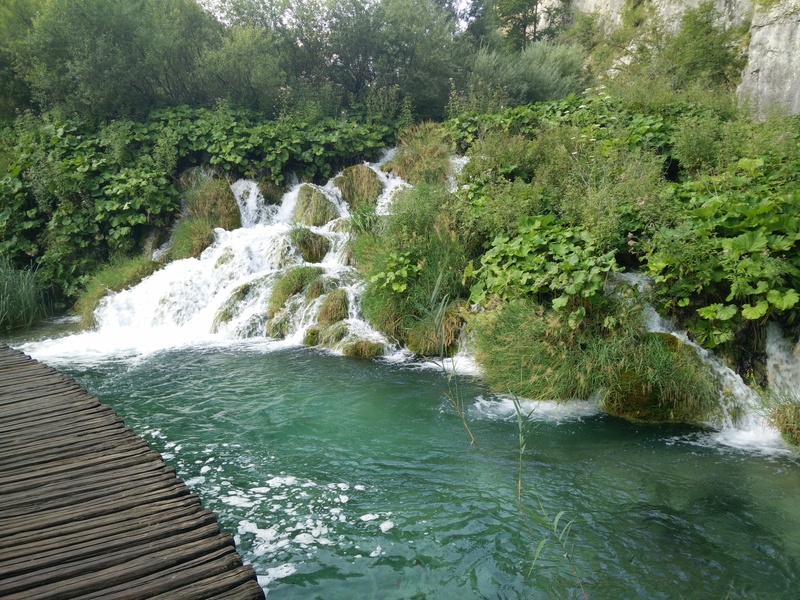 The park is located in the mountainous region of Croatia between Mala Kapela in the West and Lička Plješivica in the Southeast. The park belongs to the regions Senj and Karlovac. With its extraordinary natural beauty, this area was already declared on April 8, 1949 to be the first national park in Croatia, which is also listed on the UNESCO World Heritage List since 1979. The overall area with mountain ranges, lakes and forests covers an area of ​​nearly 300 km². The park is mostly wooded, a smaller part is overgrown with grasses and meadow. The most interesting and attractive part of the park, the lakes, occupies just less than 1% of the 300 km², but is all the more impressive. There is a total of 16 lakes from which some are smaller and some are bigger. But all of them carry crystal clear and mostly bright turquoise water. Due to the geological subsoil and the specific hydrogeological conditions, the lake system is divided into the Upper and Lower Lakes. The Prošćansko Jezero, Ciginovac, Okrugljak, Batinovac, Veliko Jezero, Malo Jezero, Vir, Galovac, Milino Jezero, Gradinsko Jezero, Burgeti and Kozjak are the twelve Upper Lakes that are formed on impermeable dolomite. The Upper Lakes are sprawling, rugged and have gentler shores than the Lower Lakes. 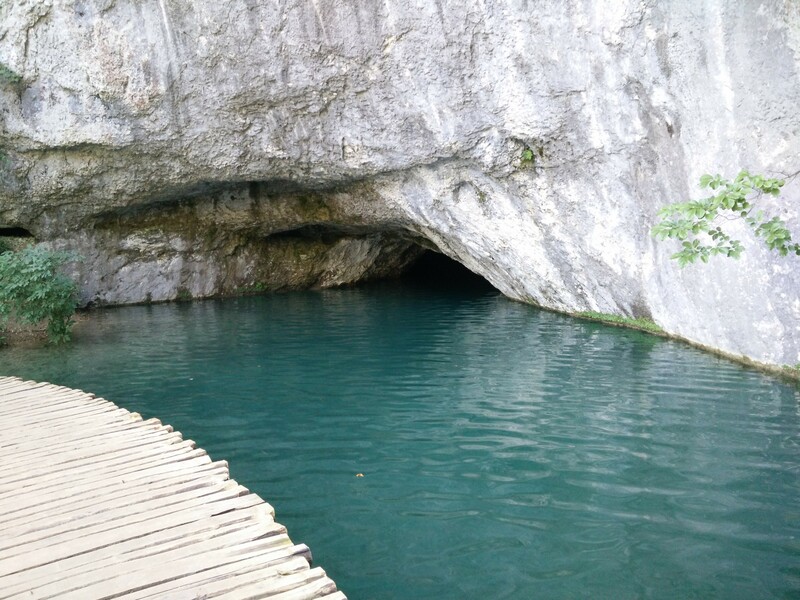 The lower lakes, the lakes Milanovac, Gavanovac, Kaluđerovac and Novakovića Brod, were created on permeable limestone soil and cut into the narrow ravine between the steep slopes. All of the lakes end in the imposing Sastavci waterfall, which is almost 80 meters high. 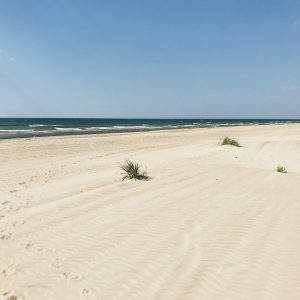 The area is accessible on foot via dirt paths, and wooden walkways. Shuttle buses run every 20 minutes along designated areas of the park. The park offers a variety of different hiking routes from beginner to expert level, from a one hour slow walk to a sporty six hour hike. There are two main entrances to the park open to public, and an additional auxiliary entrance Flora. North entrance, known as Entrance 1, is just above lower lakes, while the South entrance, Entrance 2, is next to the Upper Lakes. An auxilary entrance Flora is a bit off the main routes, but it’s also the least crowded. This route has its starting point at the North entrance of the park (“entrance 1”). 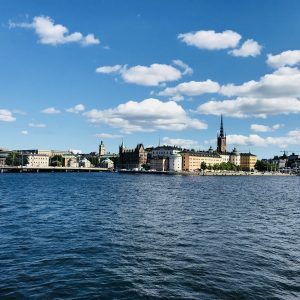 This panoramic tour takes place in the circular route. 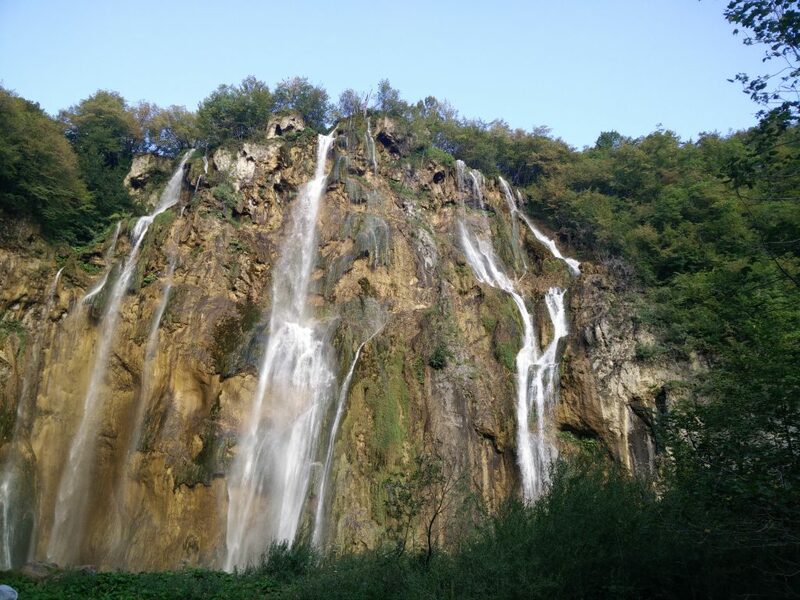 Especially worth seeing on this route is the “Veliki Slap” (Big Waterfall) – the largest waterfall of the Plitvice Lakes and all of Croatia. It continues upstream on the Donja jezera gorge (Lower lakes) and along the lakes Novakovića brod, Kaluđerovac, Gavanovac and Milanovac. 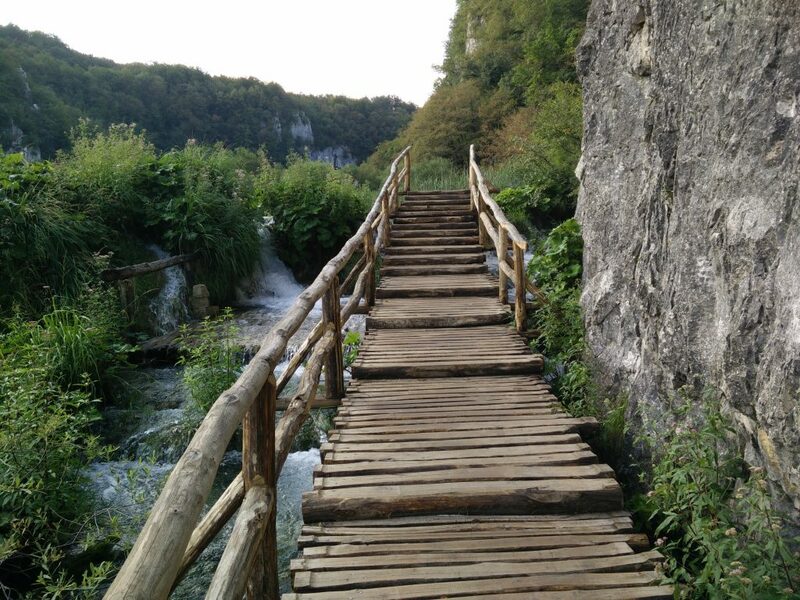 The final stop of this program is the rest area “Kozjački most”, from where you can climb the Eastern slope of the gorge and get back to the starting point (“entrance 1”). This route also starts at the North entrance into the park (“entrance 1”). 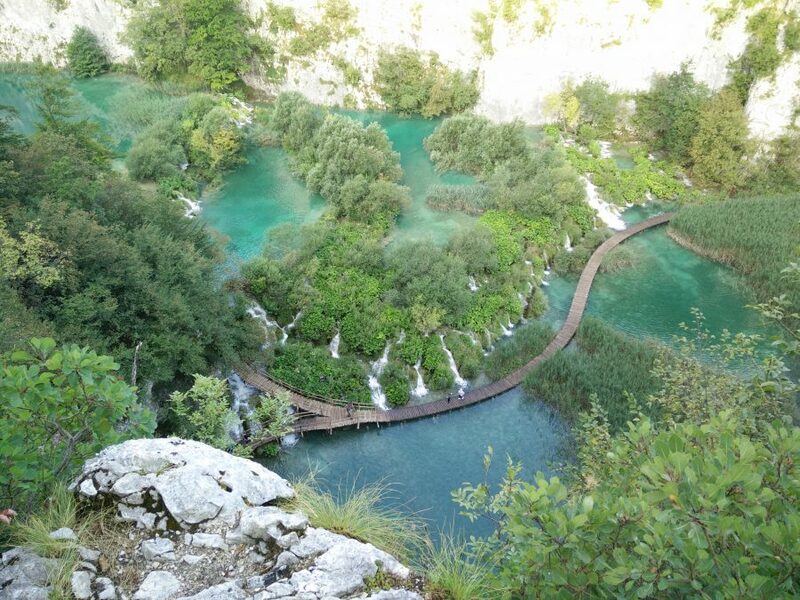 It includes a walk through the Kalkcanyon of the “Lower Lakes”, an electric boat ride on the biggest Plitvice lake – on “Kozjak”, a panorama train ride and a walk on the eastern side of the canyon to the starting point at the “entrance 1”. 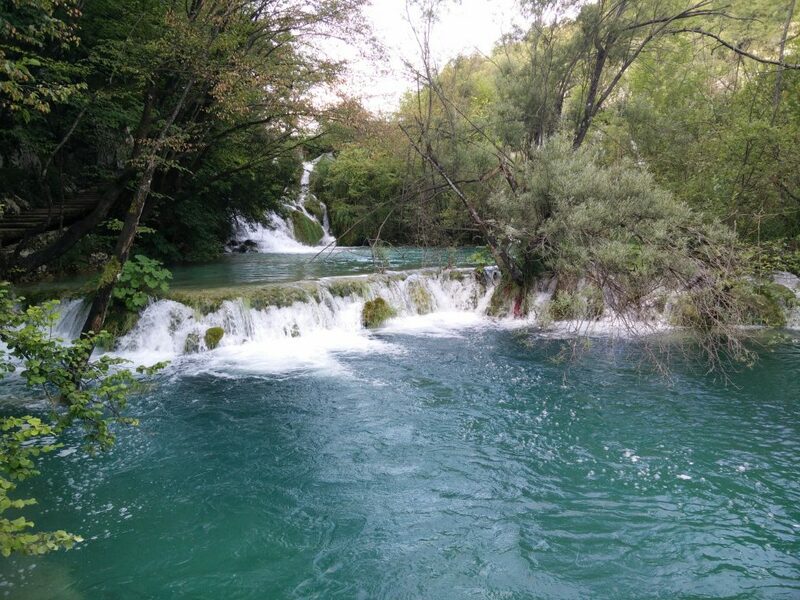 You can exlplore the spectacular big waterfalls “Veliki slap” and “Sastavke”, the beautiful blue-green lakes “Novakovića brod”, “Kaluđerovac”, “Gavanovac” and “Milanovac”, as well as the vastness of the lake “Kozjak”. This route starts at the Southern entrance to the park (“entrance 2”). After a short walk, the tour continues with the electric boat ride on the lake “Kozjak”, and then continued on a walk through the Kalkcanyon the “Lower Lakes” to the “Veliki slap” (German: Big waterfall). From the “big waterfall” to the train station, you will find steep hairpin bends leading to the eastern side of the canyon, where there are countless lookout points offering unforgettable views of the crystalline and blue-green lakes and towering rocks. The return to the starting point takes place in the panorama train. Within this program the tour takes place in a circle. 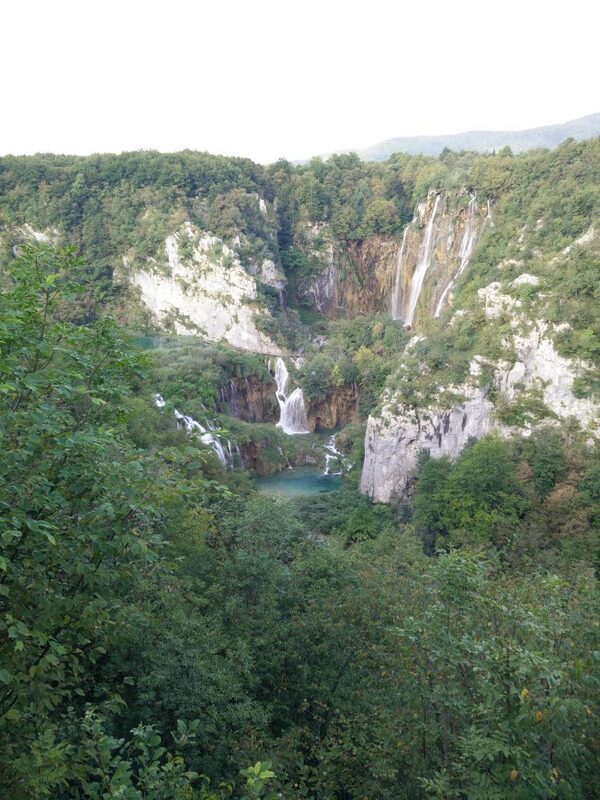 Plitvice Lakes National Park is one of the most wonderful places I have ever visited! The unique color of the water, changing from emerald green to aqua blue, is simply mesmerizing. And it’s so clear that you can easily see through, and spot many small fish – just amazing! 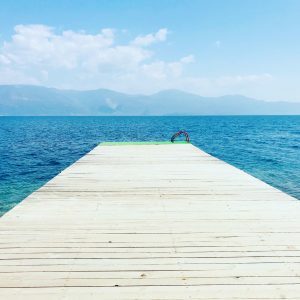 This spot on earth should definitely be on your bucket list when you are visiting Croatia – or even Europe! 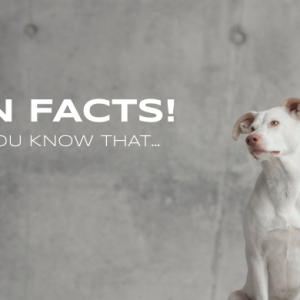 It’s also great if you are travelling with your dog. 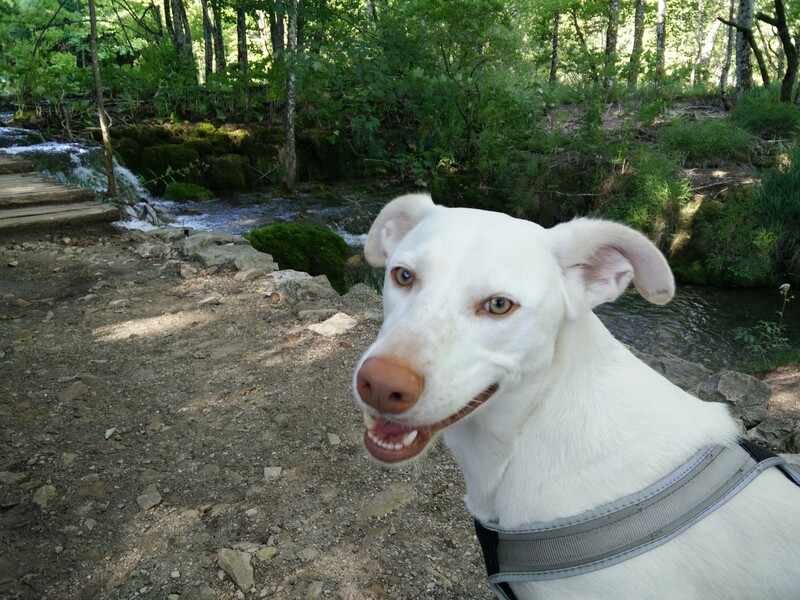 Fiete loved our hikes and dipping our toes and paws in the water. Just keep in mind to have your dog on a leash, unfortunately free running is not allowed in the park. I recommend to stay at least for two days to enjoy this miracle place to the fullest. I promise, you will not get bored.